Kirian Valecillo is a young student from Guanaja. She finished her school in Guanaja with a "bachillerato" in 2012. Kirian has two younger brothers, her father is a simple worker and his salary is just enough to feed his family. Her mother makes some money with irregular cleaning jobs in private households. Kirian had good grades and the wish to study tourism. 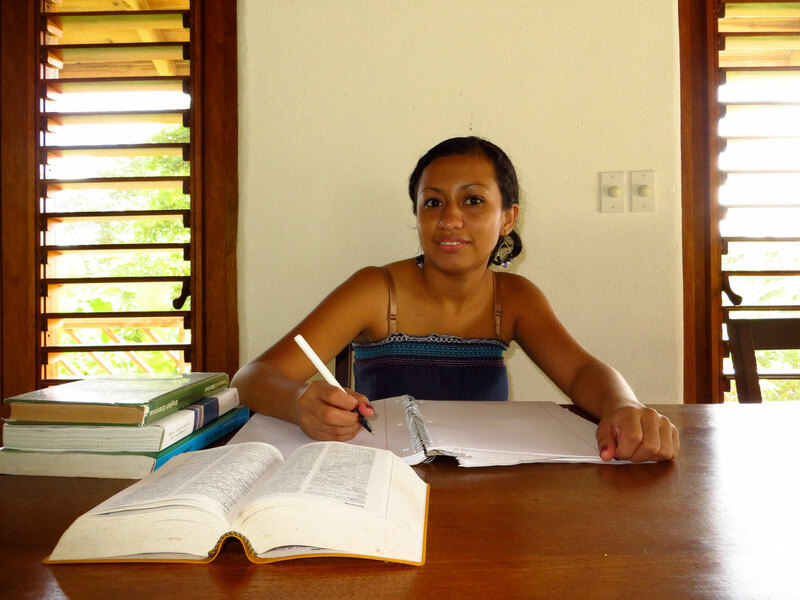 The guardian angels had agreed to finance her studies at the university in La Ceiba (https://www.unah.edu.hn/?cat=1251). They financed the transport and lodging costs for her exams and were happy to hear that she passed them and started her studies. The situation changed when the university created the opportunity to study tourism as a distance study with some courses she can attend in Guanaja. Ever since Kirian does not depend on any support from the guardian angels. The angels are happy to have paved the way for her into her study and wish her all the best and success for her future.